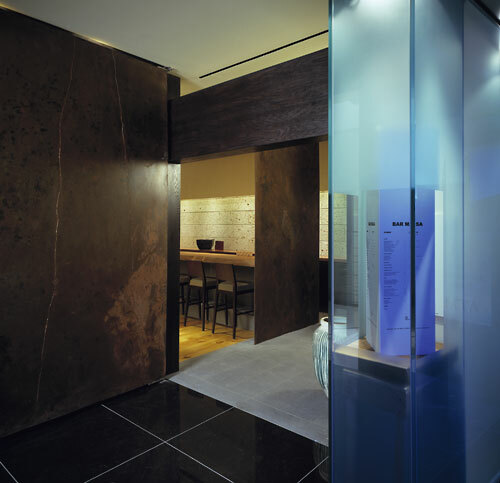 Time Warner Center, New York: These designs spring from the complex sensibilities best described as SHIBUI: astringent simplicity devoid of unnecessary elements and the honest presentation of materials. And UMAMI: the basic, inherent essence or flavor. 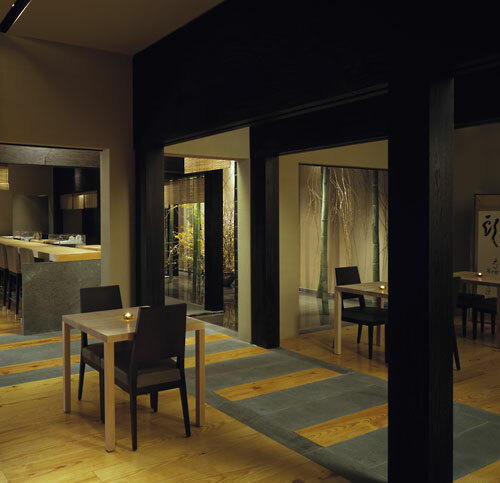 The arrangement of contiguous spaces separated by screens, strategically placed columns and beams, and plastered walls are quintessentially Japanese. 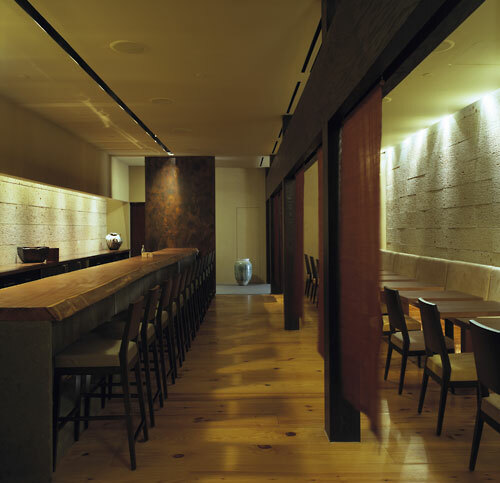 The layering of simple natural materials brings the spaces to life and provides an uncluttered and gentle richness. 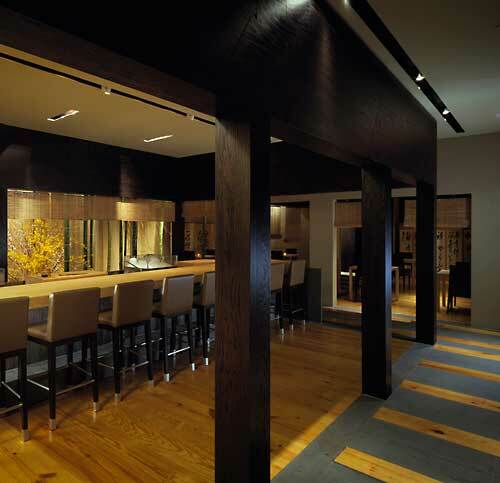 The symbolic combinations of textures and their provenance add a subtle meaning.